When a hipster explains his or her bleeding heart views of the world -- a world of evil oppressors and their angelic victims and people's overall entitlement to fairness, sugar, spice, and everything nice. Aquino and Roxas are the two biggest reason why we have this criminal-infested Philippine National Police! 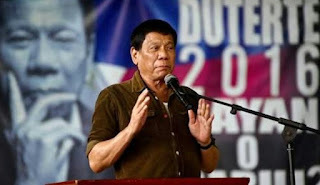 If until now the yellow people are still clueless, let us point out one of the more obvious reasons why your presidential candidate was soundly rejected in the last election -- because your candidate and your titular head have no sense of genuine leadership, especially in matters concerning peace and order and law enforcement. 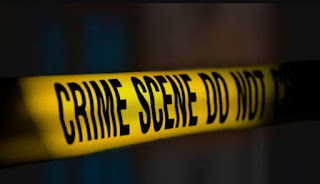 Either Noynoy Aquino and Mar Roxas are complete idiots when it comes to police matters, or that they are in collusion with those who have perpetuated the scalawag image of our supposedly foremost protectors. Do you see this CHILD? 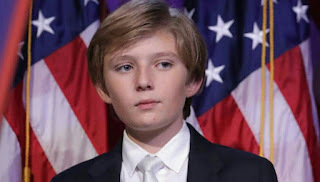 This child's life was changed forever when his Father was sworn in as President of The United States of America yesterday. Long before his Father, President Donald J. Trump, was sworn in- this child became the center of hateful online attacks. From a certain celebrity attempting to diagnose him with a learning disability with her degree from "The University of Google" to now, when a writer from Saturday Night Live decided to make a tweet saying that he would be the "first homeschool shooter". Which she must not do any research because he does attend an actual school. Some of you liberals go on and on about peace, hope and love, and yet you spew hatred out the other side of your hypocritical mouth. Tonight, when you tuck your children into bed, look them in the eyes and ask yourself, "could I say these things to my baby?" PNoy did not resign when that hostage-taking drama happened killing Chinese tourists. He did not resign when the Mamasapano massacre took place. In both incidents, he did not even apologize. There were others in the past administration who bungled all attempts to make a difference, eventually displaying zero credibility on the job. Now, we have Leni who is still the VP. De Lima is till a senator. Both, and many others like them, are clinging to their jobs and enjoying their salaries and perks paid for by the people. Truly they are like leeches sucking out blood of the innocent. 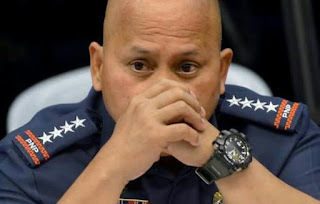 And the people, both for and against the administrations, are going to demand for Gen Bato’s resignation, to save face? If every blunder committed by elected/appointed officials results in their immediate resignation, and not giving themselves the chance to correct that blunder, who will be left to save the country? 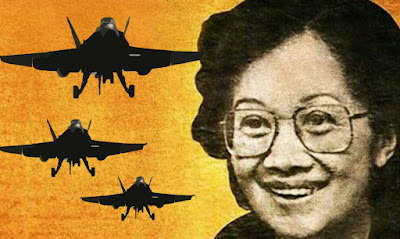 History revised: Cory Aquino's DESPERATE appeal for US military intervention in 1989! The yellows accuse others of revisionism, but they’re actually the ones who do it all the time. Exhibit A: The CIA documents declassified a few days ago confirmed that Cory Aquino, the supposed patron saint of democracy, asked for deadly US military intervention during the 1989 coup. The Americans turned her down because it would be too complicated for them to kill Filipinos. Exhibit B: The open letter of the Malacanang Press Corps accused Martin Andanar and the Duterte admin of being unfair to them. But these vicious yellow journalists are the ones who have been using every dirty trick possible to destroy the President’s reputation. Exhibit C: The yellow senators Kiko Pangilinan, Antonio Trillanes, and Bam Aquino are asking for an investigation on fake news and social media trolls. But the yellows are actually the ones running an organized propaganda machine that uses anonymous Facebook accounts and sponsored posts to malign President Duterte and build up Leni Robredo. NEVER trust anyone associated with the Yellow Camp! The “voter’s remorse” of former pro-Leni bloggers is encouraging because it shows they have the maturity to acknowledge their mistake and make up for it. On the other hand, though, the fact that they were swayed by Robredo’s contrived laylayan image in the first place during the election campaign shows how naive they still are. 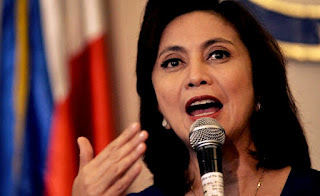 Some of them now criticize Robredo heavily but still hope she will change, or quit the Liberal Party, or focus more on projects like her Angat Buhay program. Guys, wake up–Leni Robredo is a creation of Kris Aquino, Bam Aquino, Mar Roxas, and the Liberal Party. Her sole reason for existing is to propagate yellow PR. Even Angat Buhay is about PR. Not only is it about PR, it might also be a tool for recruiting LGUs back to the yellow fold. Like the DAP and pork barrel, the projects can be used as a front for funneling money to LGU officials. 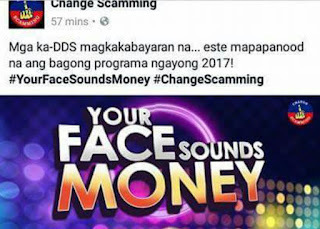 Anti-Duterte Facebook page @Change_Scamming flees following threat of lawsuit! Less than an hour after my post, Change Scamming deleted their photo implicating me as a paid propagandist. Good. That will save that page's admin and me time we could be spending with our families battling it in court. Consider this a warning to you, and to any person or page who feel they can say with impunity any malicious charge against private citizens. I will not take libelous, defamatory statements against me sitting down, even and especially not from anonymous pages. In this day and age, your anonymity will never be a guarantee of your immunity from suits and even revenge. Tandaan ninyo yan. Nobody stays anonymous forever. The Internet is more transparent than you think. The next time any of your pages accuse me of being paid, you better back up your claim with solid evidence admissible in court, because I will pay good money to see you in jail if you cannot prove otherwise. After #Lenileaks comes #Lumeleni and #LumeleniChallenge. Yellowtards fail to keep up! The yellows knew that Pinoys have a deep need for conformity and this is what they exploited to market Noynoy Aquino and Leni Robredo. 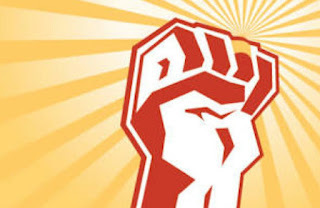 The formula is this: get celebrities, socialites, priests, journalists, professors, famous businessmen, and other authority figures to endorse yellow candidates, and everyone else will follow out of sheer fear of sticking out. Pinoys only snapped out of their yellow trance when Duterte burst into the scene and cursed at everyone in the establishment, exposing them for the false idols that they were. The yellows are still in denial though. After #Lenileaks, there’s now “#Lumeleni” proving that they have no match when it comes to stupidity and lack of originality. The “#Lumeleni” hashtag was kicked off a few days ago by netizens who were disgusted with Robredo’s famous “waiting for a bus” photo that was apparently staged. It's about time that the myth of the Robredos is shattered. Jesse wroked at San Miguel before being tapped by Luis Villafuerte to head the Bicol River Basin Development Project where he met Leni. After using that to establish a poltical base, Robredo married Leni and then ran for Naga Mayor under Villafuerte. 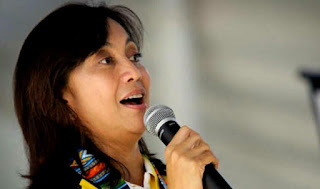 Robredo proceeded to dump Villafuerte and used Naga as his base to promote himself politically. He died before he could prove his mettle as a national appointed official. Jesse could've tested the waters by running for the Senate in 2013. 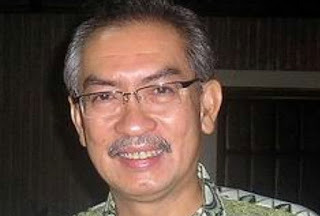 He could've won which would've set the stage for him to become Roxas' running mate in 2016. The problem with the Robredo's also is the source of their income. Leni had no career to speak of. Her post at the BRDP was also a political accommodation. The same with her employelment at the Public Attorney's Office and after that as a human rights lawyer. 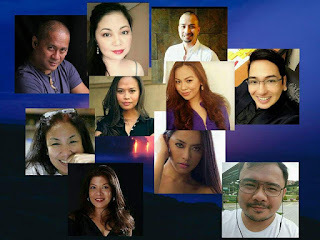 With Mocha Uson, Sass Rogando Sasot, RJ Nieto (Thinking Pinoy), Bruce Rivera, Trixie Cruz-Angeles, Krizette Laureta Chu, Lorraine Badoy, MJ Quiambao Reyes, Rocky Gonzales. We do not hide our faces. We are proud defenders. We take responsibility for our acts. Be warned. We are not just pretty faces and bodies. We think. We research. And we are not paid. So Madam Claudia, Silent No More, Superficial Gazette and Obosen Obosen, we dare you to show your faces too. Reveal yourselves! What's the difference between fake news and biased news? The other day, "journalist" Ellen Tordesillas posted about how Leni Robredo May be ousted by way of the Supreme Court ruling on the petition filed by now Speaker Pantaleon Alvarez on the Comelec ruling extending the deadline of the filing of SOCE's as an accomodation for the Liberal Party. Alvarez contends that the Comelec doesn't have the power to do since it's not specified in the Omnibus Election Code. Tordesillas hinted that an adverse ruling would benefit Marcos as the Duterte administration would install him in Robredo's stead. However, it's clear in the constitutional order of succession that in the event of a vacancy in the office of the Vice-President, the President will nominate either a Senator or a Congressman to replace the duly elected Vice-President. The nomination would have to be ratified by a 3/4 vote of both houses of Congress to be valid. Randy David comes out swinging at Duterte. It's his knee jerk reaction to being implicated in #lekneeleaks last week, to which he issued a denial of course. Thing is, his argument is illogical despite his coating his language in the prose of academia. Cause and effect. While every one of his detractors hits Duterte for his war on drugs and the casualties that come with it, no one, not a single one, has come up with a piece addressing what caused it. David and his ilk reference poverty but again are silent on why, after being in power for the last thirty years, poverty hasn't decreased but in fact increased even if the economy has been on the upswing. More than all that, he is a GEOPOLITICAL GENIUS, a master strategist (as I've mentioned many times before). For many years, the world used to see us as a Third World country where domestic helpers, boxers, and some beauty queens come from. A nation whose previous short-sighted leaders encouraged its people to work overseas and depended too much on their remittance. For many years, we were only considered as just another small nation to be disregarded, threatened, bullied, or worse, exploited. A nation where even our own fishermen were driven away from our very shoals. It's not the best time to be a media practitioner these days. Not in the Philippines, not in the United States. Philippine President Rodrigo Duterte does not hide his contempt for the giant media organizations in the country. He has come under heavy and non-stop barrage even before he assumed office. Exactly the opposite of how the press treats Vice President Leni Gerona. While President Duterte is always treated with suspicion, Gerona has largely been treated with kid gloves. It does not need a media watchdog to tell one from the other. No wonder an increasing number of people see the mainstream media as the President's persecutor - and the Vice-President's coddler. In the United States, incoming President Donald Trump opened fire at CNN even before he formally assumes office. Not a good sign for the obviously pro-Democrat CNN. Former VP Jojo Binay was not treated decently by Abnoy but he still had a job as HUDCC Head and it was not until the last year of their term Binay became an opposition figure. Before that, he was in public service barely even releasing press statements to express his dislike in the former administration. In his last year, the yellow trolls destroyed him with several fabricated exposes. None of the exposes was proven true in court until now. 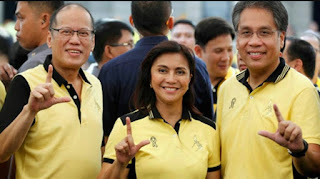 On the other hand, Leni made it obvious where she stands. She was already an opposition figure during the elections but she was still given a chance to be part of the Cabinet by holding the position as HUDCC Head. Initially, she wanted to be part of the DSWD (where many laid suspicion she had hidden shady motives on her choice). We also showed him how the president enjoys the comfort of his own bed, including his old and favorite mosquito net. Christopher Bong Go as posted on Facebook. 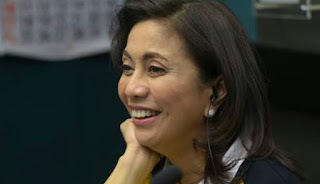 Leni Robredo's lack of social graces is her worst enemy! Sometimes I wonder if the person behind Leni Robredo’s PR strategy is her biggest campaign donor Kris Aquino. 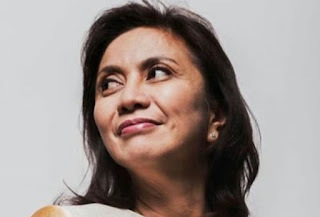 Robredo’s style is very showbiz, very “The Buzz”: She makes up her own issue, then she goes around answering it. No matter how stupid it is. This Vin D’Honneur thing was started yesterday by Robredo’s own office when they issued a statement that sh e was disinvited. Now, Robredo is going around giving interviews saying “ayaw ko na palakihin”. But at the same time, she’s the one going on and on about how badly she was treated, even if no one’s asking. Artista talaga. Even Kris Aquino took years to reach this level of ka-cheapan. Rubbing elbows with the alta sociedad hasn’t taught Leni any social graces. When you’re not invited to a function (or if you’re disinvited), the worst thing you can do is talk about it. Talking about it only makes you look cheap and desperate. 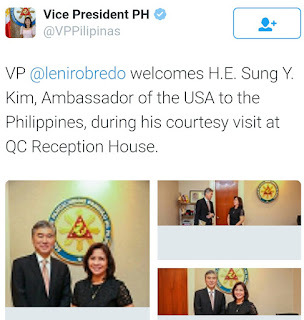 Is the US Ambassador sucking up to Leni Robredo to mitigate fallout from #LeniLeaks? Is Uncle Sam rolling out Oplan Sagip Leni dahil sobrang duguan na ang manok nila from the #Lenileaks scandal? 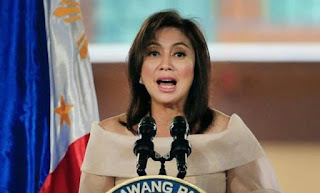 Should we expect an “international award” and/or “international speaking engagement” and/or “international media interview” soon to swing the PR momentum back to Robredo? I don’t recall US ambassadors meeting this often with Philippine “vice-presidents” in the past. Is this a message that the oust-Duterte plot is still in play despite Trump’s win? Some pundits in the US say that the warmongering interventionists operate like a shadow government no matter who the US president is. Too bad for them Robredo is disintegrating faster than an ice sculpture at a Boracay wedding. There’s an annoying condescension in this photo. Ano ito, “if it’s from Uncle Sam, it must be good”? Basta tatak “made in the USA”, tatanggapin na namin kaagad? Alleged #LeniLeaks secret socmed ATTACK conspiracy exposed! The following is the purported "Social Media Strategy" allegedly issued by the Office of the Vice President (OVP). This is lifted from a cached YahooGroups message that has since been deleted or set to private. The cache site was shared on Facebook here by Sass Rogando Sassot. 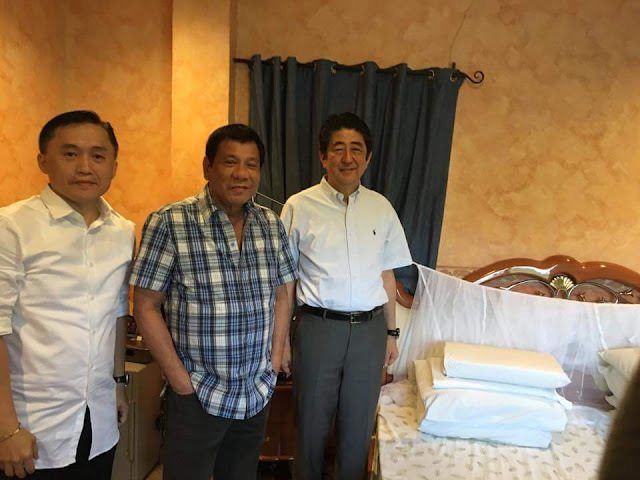 Well, now that the #Lenileaks are out, we know what really went on with this photo. The mainstream media, especially Inquirer and Rappler, are hopelessly compromised. No one believes them anymore. 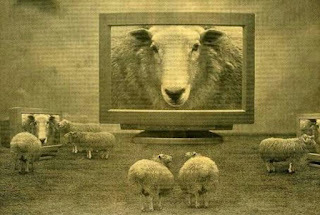 The more they lied, the more they destroyed their credibility. Lying only works if the person you’re lying to knows less than you. Take Leni Robredo’s alibis on #Lenileaks, for example. First, her office pretended it wasn’t happening and refused to give a reaction. Big mistake, because hordes of people already saw the emails and the issue was already trending on Twitter. Next, her office claimed the emails were fake. Wrong again, because people already saw the cached messages on BOTH the Yahoo and Google search engines. To sum it all up, Vice-Pictorial is as plastic as they come and is nothing more than a sock puppet. She's a Vice-President by rote. But this was clearly evident during thr campaign. Recite the Liberal party platform by rote. In the debate, she harped on on single issue - Marcos. She and Cayetano turned it into a two against one tag team wrestling match. The Yellowtards fail to accept the fact that they don't have an organic engagement on social media. It's they who have the paid followers and the troll army while the Dutertetards act out of their own volition in their support of the administration. 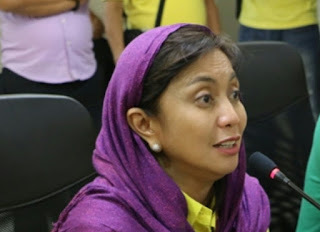 Robredo thinks that just because the people visit in the remote areas that she's popular. Who wouldn't want to see a visitor if you live in a remote location? Ousting Duterte would be disastrous for the Philippines, but as we’ve seen from #LeniLeaks, the yellows don’t care about the Philippines. They only care about themselves and their quest to get back in power. There’s nothing in the #LeniLeaks messages that talks about real problems of real Filipinos. Everything is about how to prop up Leni Robredo, how to make Duterte resign, and how to destroy the image of Bongbong Marcos. Strange how Leni Robredo, the queen of press cons, has not said a word on #LeniLeaks. The yellow media can’t move until she prompts them, but her handlers are probably still trying to figure out what to say. I think they’re playing “less talk, less mistake” for now, hoping the issue will die down in a few days. The Manila Times, the first mainstream newspaper breaks the news, #LeniLeaks hope everyone will follow! 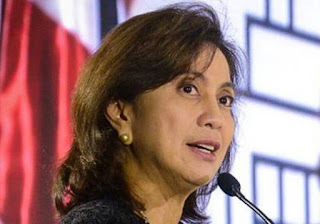 FILIPINO-American supporters of Vice President Maria Leonor “Leni” Robredo are allegedly behind efforts to undermine President Rodrigo Duterte, leaked emails posted online by bloggers showed. 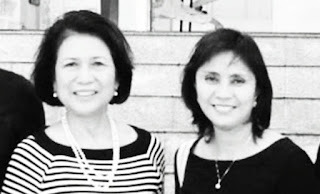 The leaked emails, first posted by the “Thinking Pinoy” blog on Friday, showed exchanges between members of the “Global Filipino Diaspora Council” (GFDC) including billionaire philanthropist Loida Nicolas-Lewis and her sister, former Commission on Filipinos Overseas chairwoman Imelda “Mely” Nicolas, both Robredo supporters. Showbiz Government as posted on Facebook! #LeniLeaks the Global Filipino Diaspora Council's plans to seize power in the Philippines! 1. This yellow group calls itself GFDC, which stands for “Global Filipino Diaspora Council”, but I think “Geriatric Filipinos Destabilization Council” suits them better, because the most active members of the group are senior citizens with long careers in ouster plotting (i.e. Loida Lewis, her sister Imelda Nicolas, Vicky Garchitorena, Yoly Ong, Fr. Villarin of Ateneo, Black and White Movement, etc). Tumanda na, sila-sila pa rin. From Marcos to Erap to Gloria, oust pa rin ng oust. Yan lang talaga ang alam nilang gawin. Temporarily diverting from a #Travelife here: Is it just me who is imagining an overnight lifestyle change for Madame Leni Robredo? During #Halalan2016, we were practically smothered by the media with poignant photos of the VP candidate taking buses to Bicol and taxis to bus stations, and buying snacks at convenience stores. She even said in one interview that she only had two usable dresses. This gave me the impression of modesty and simplicity, not to mention an almost pitiful lack of resources compared to the formidable arsenals of other VP candidates. How can someone with only two dresses fight in an election against the likes of Bong Bong Marcos, after all? So does Mocha Uson’s Facebook page deserve to be suspended? As soon as she arrived from her US vacation, she went straight to a PR photo op with fire victims in Quezon City, then flew off to Naga so she could be photographed riding a motorcycle to visit typhoon victims. Her usual moronic motherhood statements got their usual unwarranted media coverage, but wait — has Robredo done anything CONCRETE to help the victims? Has she done anything of practical significance to deserve the media attention? No, of course not. All she did was pose for pictures with victims, giggle demurely for the cameras like a teen star, and criticize the DSWD for their “slow” action. Never mind that the DSWD personnel were actually the ones who were there in Bicol, sacrificing their Christmas holidays to assist the typhoon victims, while the social-climbing Robredo was enjoying a luxury vacation with her patrons in the US, pretending to be concerned for the typhoon victims by tapping out a few tweets here and there. 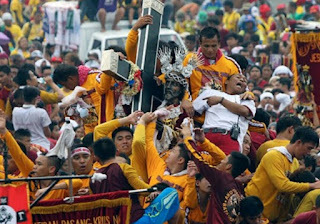 When for example a Filipino Nazareno devotee finally reaches the statue after fighting tooth and nail in the million-strong crowds that surround it, he or she might only feel for the moment but might not actually carry the spiritual experience long afterwards. 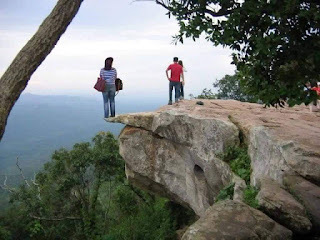 So what strikes the devotee more: his/her suffering in the throng, the moment of contact, the euphoria of success, or the transformation that might follow? What if nothing happens at all after contact? When a Filipino penitent crucifies himself in an imitation of Christ every Good Friday as a vow to the Blessed Mother, what lessons does he learn and what does he teach to those who he welcomes to watch him? If on the off chance he breaks his vow for any reason, can he do something about it? Is Taglish the only language Leni Robredo can speak? One wonders how her chi-chi fans from the Ateneo can even stand hearing her speak without getting their Manglapusian sensibilities offended. Robredo may get away with her colegiala accent but, if one is able to look past that, it is evident she simply cannot stitch a full English sentence together. Now that shortcoming simply cannot pass the Ateneo standard of excellence in the communication arts, folks. Then again, are Ateneans willing to overlook that and embrace the pedestrian manner of speaking Robredo seems to be comfy with?